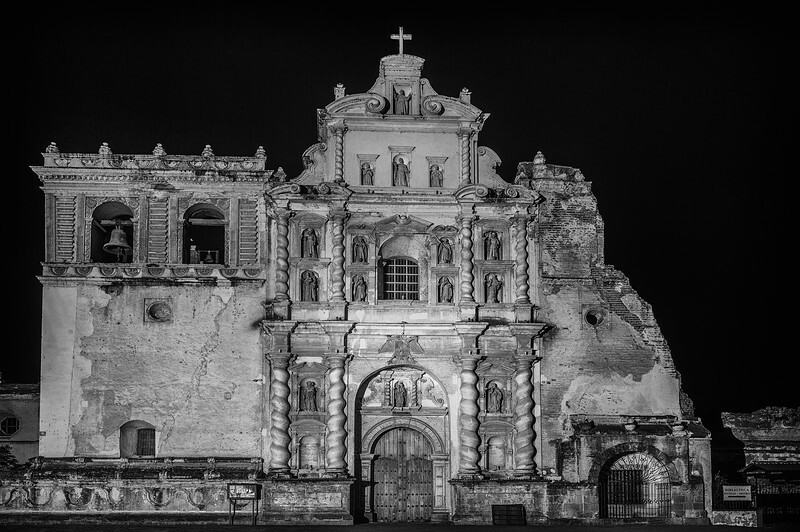 The colonial church of El Calvario in Antigua Guatemala is the last of the fourteen stations of the way of the cross, Via Crucis. 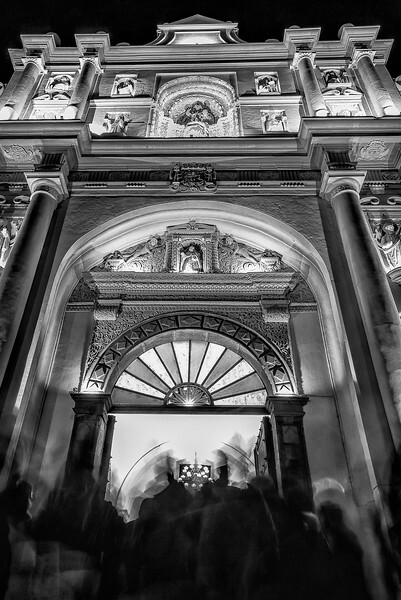 Velacion antigueña preceding the festivities of the Holy Week, where an altar is decorated and visited by hundreds of people. 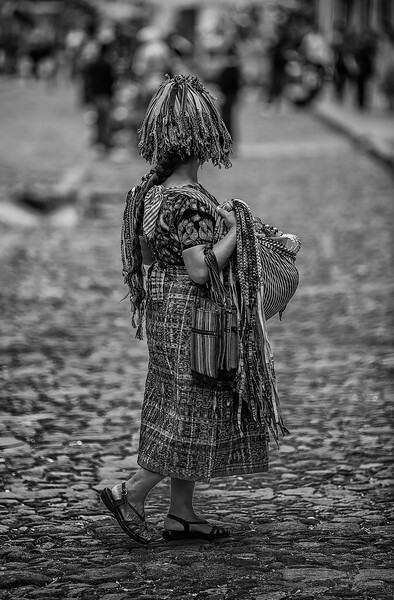 Woman in her mayan traditional dress, selling artisanal textiles in the streets of Antigua Guatemala. Chilling amongst ruins. 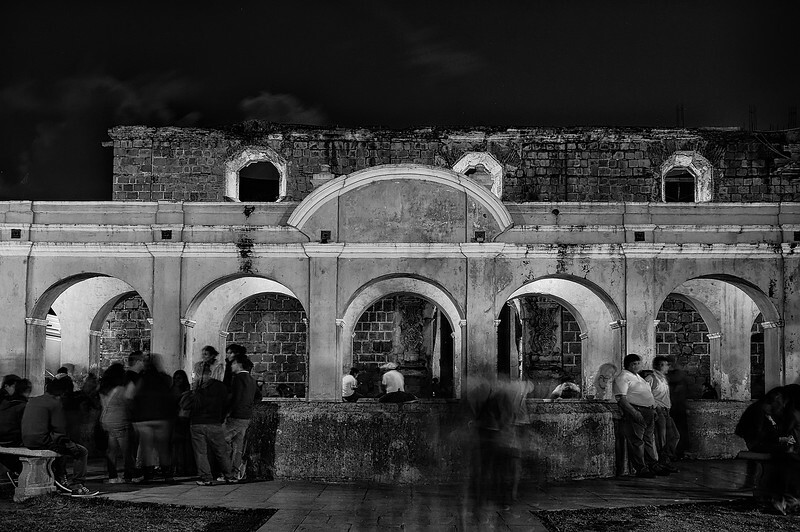 Fountain and water deposit "La Union" in Antigua Guatemala, baroque colonial capital. UNESCO World Heritage. Sweet old times. 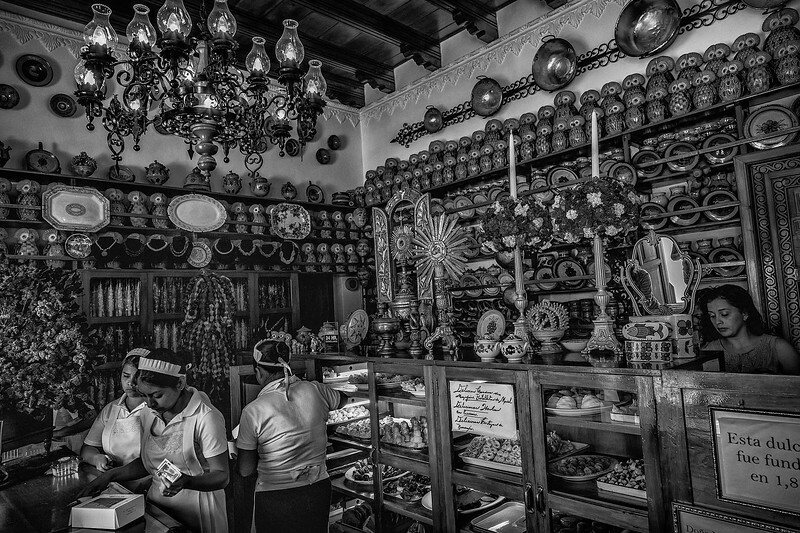 Doña Maria Gordillo, traditional candy shop in Antigua Guatemala, founded in 1872. 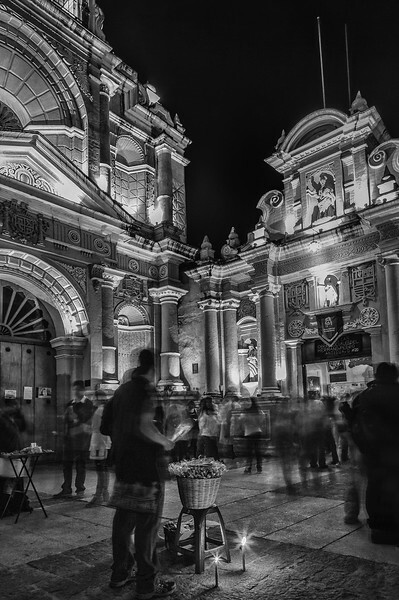 Spanish colonial culinary tradition from the eighteenth century. Walking through the past. 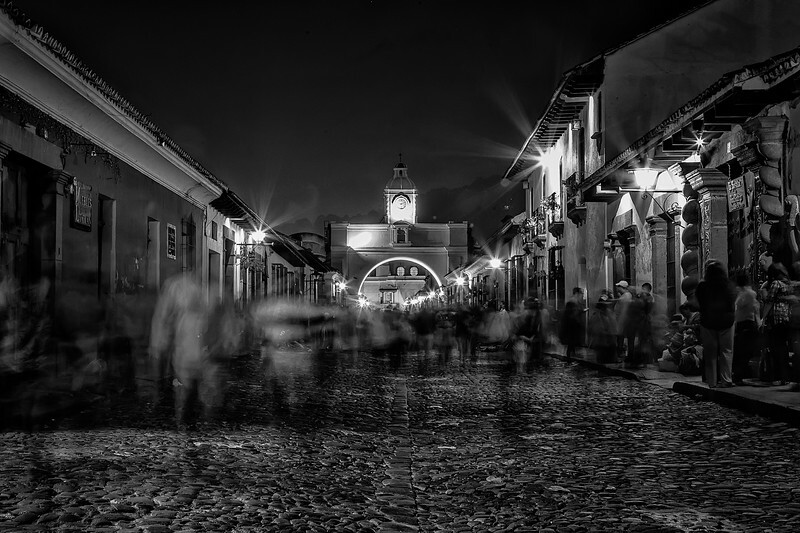 Late night social life in the streets of colonial Antigua Guatemala. UNESCO World Heritage. Mayan lights. 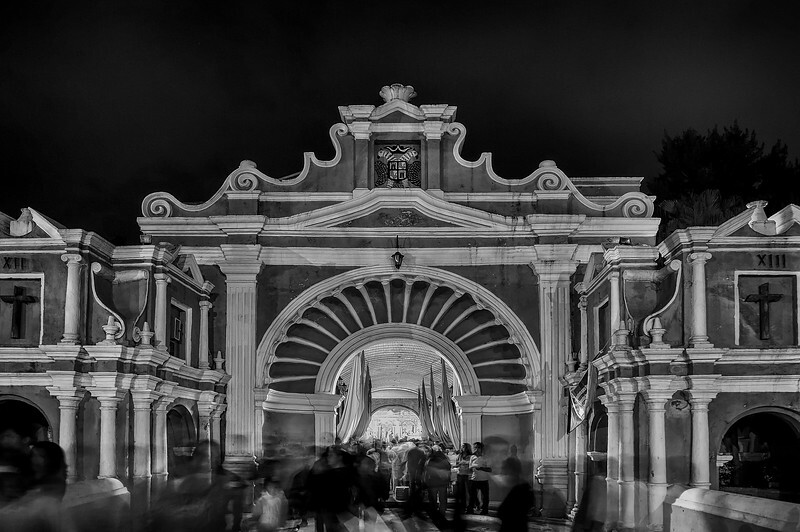 Palm sunday in Antigua Guatemala. Lady dressed with her traditional dress, visiting a church. 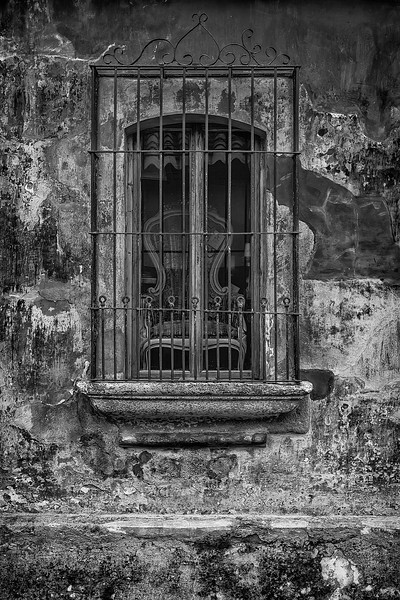 Old Spanish colonial window in Antigua Guatemala. Praying without barriers. 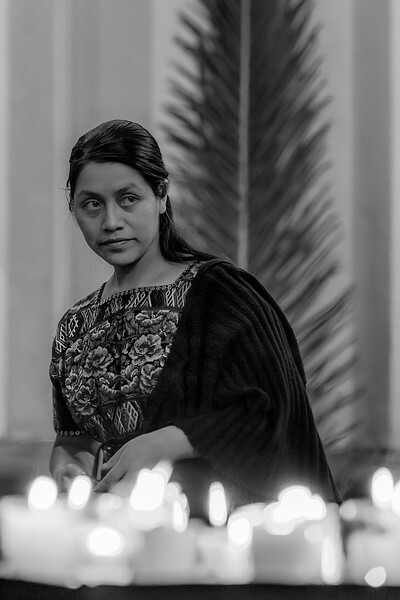 Devotion to our Lady of the Rosary, La Merced, Antigua Guatemala. UNESCO World Heritage.